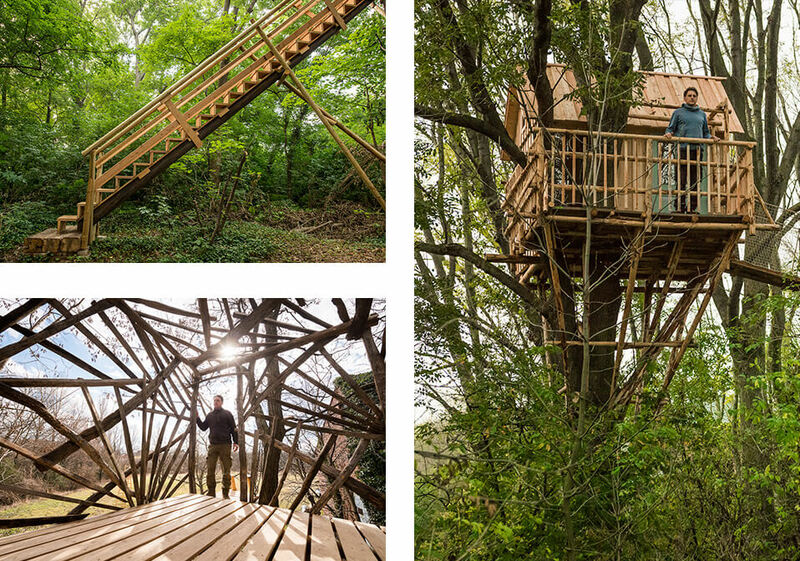 A treehouse is an intimate castle-in-the-air that becomes part of the tree. Depending on the treehouse’s position you may lie in your cosy bed up high and look directly into the green leafy roof of the forest, or let your eyes wander over the surrounding landscape from the terrace. A treehouse is a secret retreat, a unique and personal neverland that exists in loving and poetic harmony with the tree and its surroundings. And the wind that plays with the leaves gently sings you to sleep at night. A treehouse combines the simple comfort of a small hunting cabin with a life close to nature. 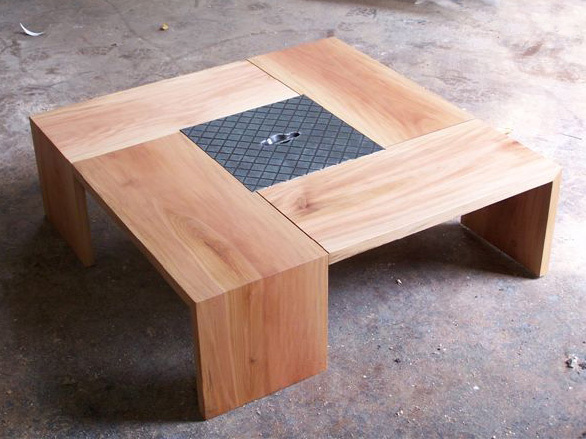 In 1988, at the age of 22, I began to develop prototypes of furniture made of solid wood and I have been working as an independent certified carpenter with a focus on furniture design since 1993. I spend a major part of my leisure time outdoors in nature where long ago I discovered my passion for buildings belonging to hunting infrastructure that are close to nature, such as hunting blinds. This is where the “treehouse idea” originated from; its physical realisation was finally made possible through the mental support of my girlfriend / partner and the incessant energy of a number of helping hands – and so in May of 2013 the prototype “Treehouse I” came into being. The experienced craftspeople among my co-workers have been my companions for many years. In the form of workshops further helping hands contribute to the building process. All clients are invited to help as well and they can contribute to all steps in the process, from the initial planning phase to the finalising stages. The selection of a suitable tree is of the greatest importance to me. I consider its position, its vitality, and its resilience. First ideas and sketches take shape immediately; inspired by close observation and contemplation of the tree and its surroundings I let my imagination run free on the pages of my sketch book. Then, I photograph the tree and measure it as a basis for further drafts and material requisitions. Not every detail is set in stone from the very beginning and in some cases the treehouse may climb up the trunk like a sculpture, which always contains surprises and the potential for spontaneous ideas. For the substructure of stairs and platforms, materials such as weather-resistant larch wood and stainless steel are used. Concerning the living space, creativity and imagination may take free reign. We use air-dried spruce wood, which has proven highly suitable for wooden structures due to its excellent static qualities. 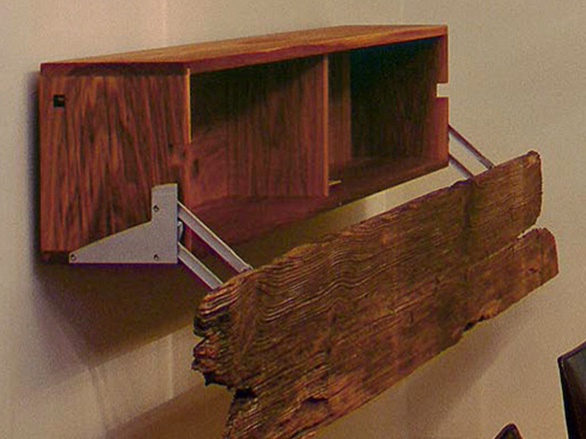 Furthermore, we incorporate recycling material such as worn wooden planks from collapsed sheds, industrial glass windows from abandoned factories, driftwood and other finds into our treehouses. In this way every treehouse gains its unique, individual character. We take great care to harm the trees as little as possible when drilling and applying anchoring such as screws, nails, or ropes, as it is the tree that serves as the living foundation of the building. Thus, the building should not block the tree’s natural dynamic. 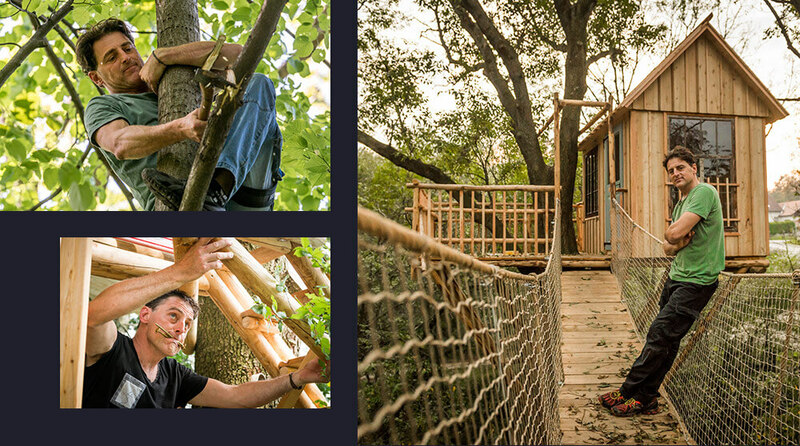 To ensure the treehouse’s existence for many years, it has to go along with the tree’s annual growth in breadth and height as well as with the tree’s movement caused by wind. A treehouse should require only minimal energy resources in order for it to retain its archaic air. A simple wood stove and candles suffice for heating and cosy indoor lighting. The installation of solar energy, water supply, and a compost toilet is also conceivable. Here you can see our earlier works.